Businesses from across Los Angeles and Ventura Counties will come together in Woodland Hills on Thursday, October 27, to participate in the 6th annual largest regional job fair aimed at helping returning war veterans, National Guard members, and reservists who are in need of finding employment as they return to the San Fernando Valley community. 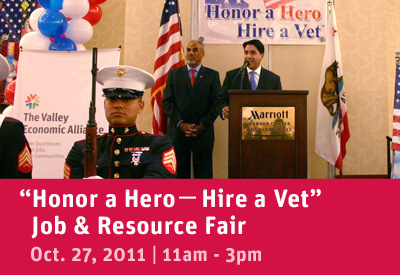 The “Honor A Hero – Hire A Veteran” Job and Resource Fair will be held at the Warner Center Marriott Hotel – the largest facility in the area able to accommodate this event which will draw thousands of job seekers from both the military and the private sector. The Job Fair aims to serve as a one-stop opportunity for entry, middle, and upper level career opportunities. 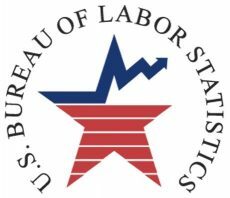 This event will be co-presented by The Valley Economic Alliance and the California Employment Development Department (EDD). The Valley Economic Alliance is a private non-profit economic development and marketing corporation that works with public and private stakeholders for the purpose of growing and sustaining the economic base of the San Fernando Valley and improving the quality of life in the five-city region of Burbank, Calabasas, Glendale, Los Angeles, and San Fernando.